Scrutiny: Akash Gill to play pivotal role in 'Chakravyuh'..
Star Plus is coming up with a show 'Chakravyuh', which will be produced by Rolling Pictures and Taurus Media. 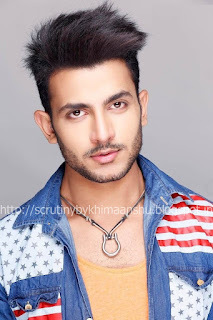 After roping talented actors like Ajay Chaudhary, Sangeeta Ghosh, Narayani Shastri, Lubna Salim, Mahima Makwana, Sanyukta Timsina and Tom Alter, the makers of the show have now finalized Akash Gill to play a pivotal role in the show. We heard, "Akash will be seen playing Baldev (Ajay Chaudhary) and Sudha's (Sangeeta Ghosh) son Narottam. He is an introvert guy and has multiple shades." For those uninitiated, Akash was last seen as an antagonist in &TV's Gangaa. Before this, the actor has played the role of immortal martyr Bhagat Singh in a bilingual film 'Jung-E-Azadi', which was directed by ace film director and screenwriter Shyam Benegal. Despite repeated attempts Akash remained unavailable for comment.